Directions: Write down the correct answer for each question on a sheet of paper with a complete heading. Hand this in when you are complete. 1. What is comparison shopping? A way to compare prices on food products. Comparing prices of various brands, forms and sizes of the same item to determine which offers the best value. Looking at the nutritional value of items to see which one is the healthiest choice. Knowing that the store's versions of products are always cheaper. 2. 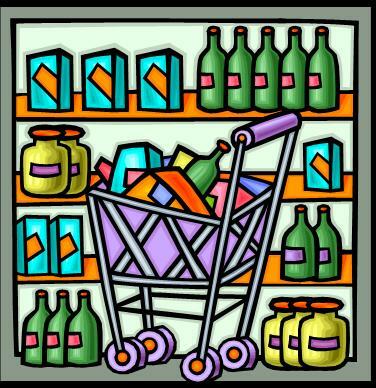 Which of the following identifies products that are created and packaged by the supermarket they are sold in? 3. Private label is referring to which type of brand? 4. On average, name brands cost how much more than store brands? 5. Which of the following gives four examples of store brands? 6. Which of the following statements is false about comparison shopping? Different forms of food often have similar nutritional values, so you may want to see which form is cheaper based on what you are using it for. National brands often cost more because of their higher advertising costs. Half of the time, consumers cannot tell the difference between name brands and private labels. Buying in bulk is the best way to purchase foods. Back to What Is It?